Have you ever felt so weary at the end of a long day, sitting in front of your vanity table and wondering how to magically strip your face off the layer of makeup you put on at the beginning of the day? As much as I love make up, I have to bear with the responsibility of cleansing progress that takes a while [for thorough and squeaky clean result]. I can bear if I am not too tired but . . . Many ladies, including myself, found a dread in cleansing makeup yet understood perfectly the importance of it. I would skip shower if I came home late and dead tired at night but definitely wouldn't sleep before I made sure my skin could breath again. Luckily, it doesn't always have to be a long routine of cleansing anymore, as this little miracle solution could just be your savior at the end of your day. 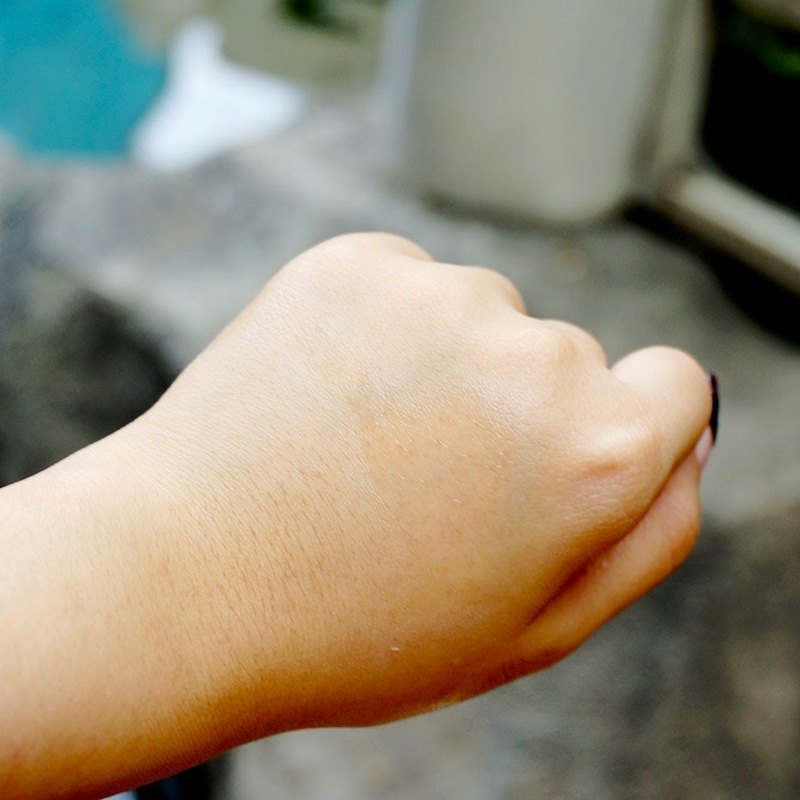 How many of you actually heard of BIODERMA before? I first found out about this brand through a Make Up Artist called Lisa Eldridge. This independent laboratory is based in Lyon, France, where they develop and market in close collaboration with dermatologist and renowned institutional research centers, intended for medical prescription and medicinal consultancy dermo-cosmetic products. With over 20 years of innovation, BIODERMA is amongst the most frequently prescribed laboratories by french dermatologist. Presently existing in more than 70 countries, BIODERMA is growing at a fast pace internationally. They are best known for their miracle cleansing water, Sensibio H2O Micelle Solution, which sells every five seconds worldwide! This cleansing water is actually formulated for sensitive skin and is prescribed by dermatologist for its perfect tolerability, efficacy in cleansing as well as the soothing properties it has. What's so awesome about this product is that this is a single-step cleansing water that allows you to remove your makeup and skin impurities without extracting your skin's natural hydration! Packaging wise, it's just a simplistic clear plastic packaging. They come with 3 sizes, 500ml, 250ml, and 100ml. However only 250 and 100 ml are available in Indonesia. I like how the clear plastic bottle allows you to see exactly just how many more product left. On the downside, due to the shape of the bottle I found it to be a little bulky for traveling purpose, but that's where the smaller size becomes very convenient! I think for a trip, the 100ml bottle is still an okay investment to slip inside your suitcase. I also got to try the sample sizes, which is good for two times usage and very travel-friendly. The pink cap gave a nice addition too despite its straightforward packaging. Texture wise, this is no different than a regular water. And you can tell that's a good thing! :D This product doesn't smell, doesn't sting, and just simply give you an instant clean feeling. It's very liquid and thin. To summarize, this Sensibio H2O is a 3-in-1 facial cleanser that cleanses gently, soothes and calms the skin, strengten skin, and raises tolerance threshold. It is hypoallergenic and is free from perfume, alcohol and paraben to ensure a safe experience. I actually brought this baby on my trip in Japan that last for about 3 weeks, I got with me the 100ml size. It surely helped cleansing my make up fast without any residue. And yes, it works wonder on my sensitive skin! 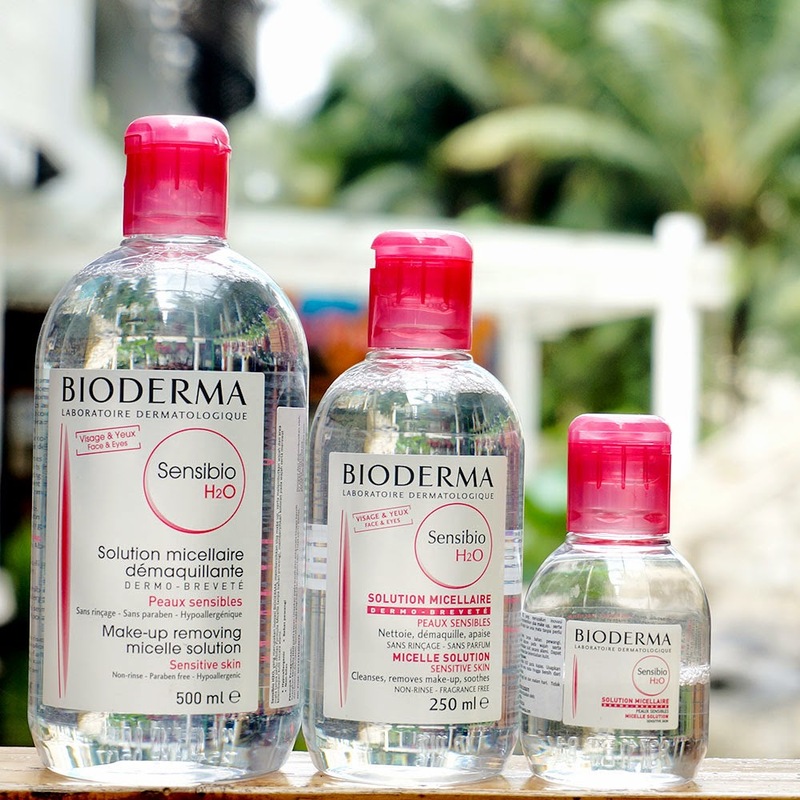 Since it was a business trip, I had to work almost every single day which left me so worn out at the end of the day, all I wanted was to cleanse everything quickly and BIODERMA Sensibio H2O couldn't get more efficient for this! Not to mention, removing your makeup is incredibly easy with this, even for my very pigmented 3CE product O.O it disappeared very very quickly and I can do it with ease. As far as I've been using this product, there has not been one flaw worth highlighting, and it surely saves me a lot of time. Although for heavy makeup, it would require me to use more of this product and since I like it so much and want it to last, I still use cleansing oil to take it off. 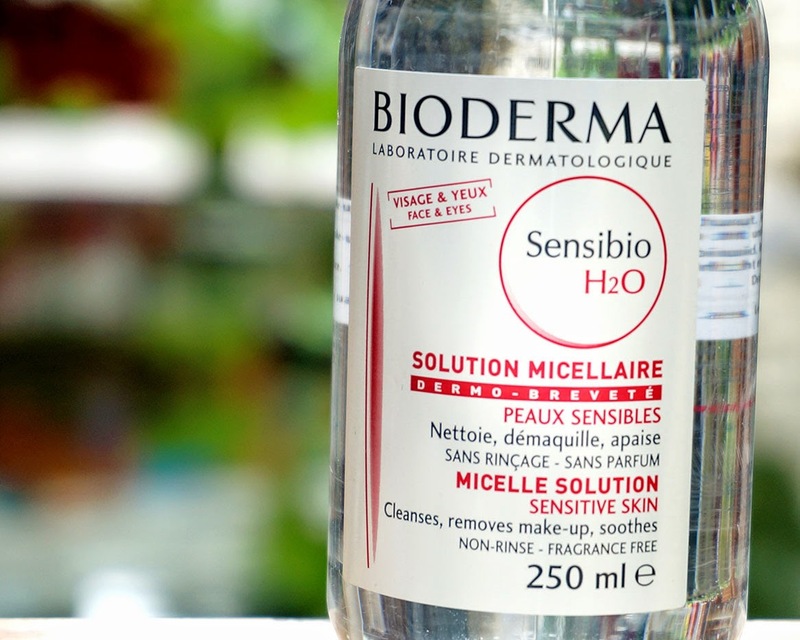 But whenever it comes to lighter makeup, like BB cream, this BIODERMA Sensibio H2O is my first choice, no competition. 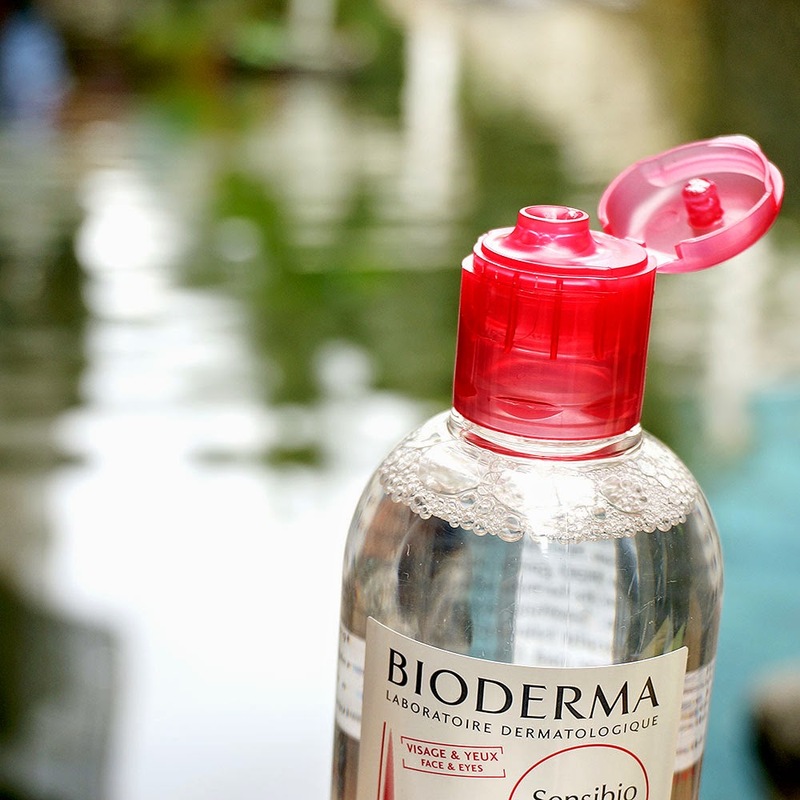 Bioderma claims that no rinsing is required however, I still feel I had to rinse even though that was not necessary. Just a paranoid part of me I guess, maybe even a habit? 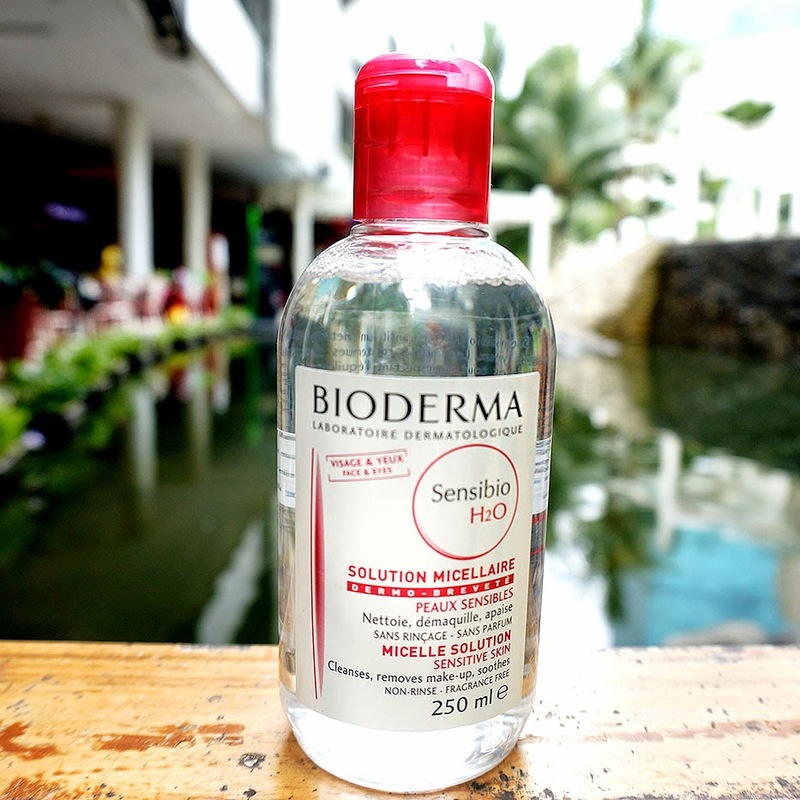 This BIODERMA Sensibio H20 Micelle solution is available through guardian and watsons, retailing at ID 199,000 for 250 ml and IDR 120,000 for 100 ml. I think for an import brand that works wonder, the price is quite nice. Have you ever tried this miracle micellar water before? Would you, or would you not? Right now I wasn't sure if I could move on from this ever LOL! oh Stel I was at guardian ytd holding this stuff for about 5 minutes thinking if I should give it a try or not. but it's not something I'm looking for (was looking for oil based remover like shu uemura) so I deduced I ain't buyin it. i love water based cleansers! they're really handy~ the first water based cleanser i bought was bifesta and so far it's good :D i'll give bioderma a try next. thanks for this review! Lovely products!! And you look so beautiful!! I've heard good things about this bioderma product! Going on my wish ♥ list now.